We join Lauren Mahon as she journeys through the Serengeti, Ngorongoro Crater and Zanzibar, ticking off some of her biggest bucket list moments. From the beautiful Big 5 to the white sands of Zanzibar, this is a trip that has it all. Watch the trailer to catch a glimpse of what you could experience on this epic adventure. Who’s ready for a once-in-a-lifetime adventure through the diverse, animal-rich lands of Tanzania? From wild lions to giant tortoises and critically endangered black rhinos, it’s no surprise that Tanzania has the largest concentration of animals per square kilometre in the world, with over four million wild creatures roaming across its plains. To make the most of this, we’ll explore the Serengeti on a walking safari and jump in jeeps in search of the Big 5, alongside cheetahs and hippos. We’ll sleep beneath the stars in luxury safari tents and descend into Ngorongoro Crater, Tanzania’s very own “Garden of Eden”. Our wonderful escape will wind up on the dreamy sands of Zanzibar. We’ll snorkel coral reefs and discover golden beaches as we sail the day away on a traditional dhow boat. This is true bucket-list stuff – are you game? Polished wooden floors, mosquito nets and fans are standard fare in the rooms here. A mix of African and international meals are served in its pretty, fireside dining room. This is a place to kick back – and we imagine that will mostly happen around the palm-fringed pool and cosy Lounge Bar. With airy, rustic interiors opening out onto the vast savanna, this safari retreat is located at a stone’s throw from the best wildlife wonders. There’s no better place to absorb the natural splendour of the Serengeti. Fall asleep to the sounds of the night, beneath vast starry skies. Today we head to the wilderness of the Serengeti National Park, stopping en-route at the historic Olduvai Gorge in the Great Rift Valley, home to the earliest evidence of the existence of humans. Then we’ll hit the Serengeti plains, one of the earth’s most rewarding safari destinations. Depending on the season, you’ll arrive either in the striking sun-parched beauty of the dry months, or a lush green abundance following the rains. This afternoon, we’ll jump aboard jeeps for a first taste of a Serengeti game drive, in search of the mesmerising Big 5. Drink in this magical glimpse of savannah life, as you see lions roaming through the grasslands, giraffes munching on acacia trees and elephants splashing in waterholes. From cheetahs sprinting across the plains to 500 different bird species, there’s so much to see here. Keep your eyes peeled for zebras, gazelles, crocodiles and more, with each new landscape more incredible than the last. After a captivating safari jaunt, retreat to your tents at your safari camp where dinner and a cosy campfire await. Rise to the sounds of the Serengeti, and head out for a morning game drive in the majestic hinterland. This is your chance to see some of Africa’s best-known animals in their natural habitat, in a highly intimate and moving way. Discover a wild, off-radar landscape as you drive across the plains, immersing yourself in the spirit of the wilderness. Afterwards, we’ll return to camp for lunch, before hopping in jeeps for another stunning game drive. Watch the terrain change from open plains to forested scrubs, as you pass by sunbathing lions and migrating wildebeest. We may stop at Simba Kopjes, an impressive rocky outcrop where cheetahs sheltering their cubs can sometimes be spotted. Have your binoculars at the ready for amazing scenes, whether that’s herds of buffalo roaming across the savannah or hippos wallowing by the muddy riverbanks. As the sun sets over the grasslands and the hyenas begin to howl, head back to camp for dinner and stargazing beneath the vast African skies. Please note: As an optional extra, you can take a hot air balloon ride over the Serengeti, instead of the morning game drive. It’s an amazing way to admire the the stretching African vistas. Ask us for details. Today we head to the Ngorongoro Crater, a 10-mile stretch of wilderness hailed as “one of the greatest natural wonders of the planet”. This UNESCO World Heritage Site is known as Tanzania’s Garden of Eden, with wide open vistas, forested rivers and freshwater lakes. An ancient volcanic caldera, it’s home to one of the largest wildlife populations on earth. Elephants, cheetahs and spotted hyenas all wander freely here, as do lions, wildebeest and critically endangered black rhinos. Watch as pink flamingos take flight over the shimmering crater lake on our spectacular game drive, alongside zebras, gazelles and ostrich. We’ll then head on for some poolside R&R at our boutique farm hotel in Karatu. Wake up and grab your shades, today we’re heading to the tropical islands of Zanzibar. We’ll head to Arusha airport, where we’ll catch the scenic hour-and-a-half flight over the shimmering Indian Ocean and watch as the paradise archipelago comes into view. Home to pristine white beaches that are ranked as some of the best in the world, Zanzibar is a semi-autonomous region of Tanzania with its own distinct vibes and easygoing culture. From here, we’ll carry on to Stone Town, the historic heart of Zanzibar City and a UNESCO World Heritage Site. Take a culture-packed foray through this exotic port town, seeing palaces, forts and mosques and getting the chance to stock up on some Zanzibar treats at the market. Alternatively, you can jump on a boat trip to Prison Island. Once used to confine WW2 prisoners, this enclave is now home to a giant tortoise sanctuary. Then, as the sun begins to set on your Tanzanian adventure, we’ll have dinner at a local restaurant. Gather together for sundowners overlooking the Indian Ocean, raising a glass to new horizons and fresh friendships. This morning Zanzibar will live up to its name of the Spice Island, as we take a visit to the famous spice plantations. Touch, taste and smell your way through the lush forest, sampling local flavours such as cinnamon, vanilla, and ginger. Your guide will bring to life the history of the renowned spice trade and rustle up teas made from local spices. This afternoon, we’ll hop on over to the northern village of Nungwi and our coastal beach retreat. Here you are free to do as you please, such as hitting the luminous stretch of white sand at Nungwi beach. This evening, be sure to hit up a local beach bar with your Flackpacker pals, drinking in sundowners and sunset views in roughly equal measure. 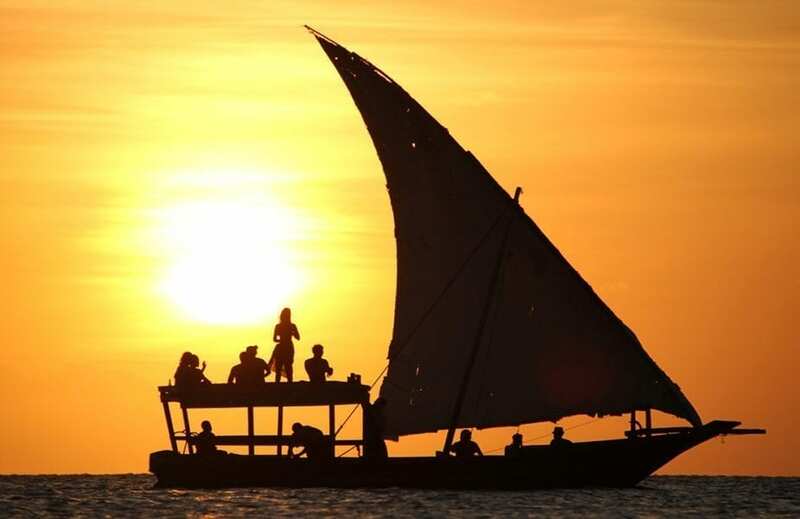 After breakfast at our hotel, we’ll hop aboard a traditional dhow boat to sail along the northern coast of Zanzibar. With the sun bouncing off the waves, we’ll stop at the world-famous Mnemba Atoll, a stunning marine conservation site where you can snorkel through the coral reef and swim alongside turtles and shoals of tropical fish. From here, we’ll dock up on the white sands of Muyuni beach for a delicious barbecue of freshly-caught seafood. We’ll then sail onto Mnemba Island, looking for pods of dolphins and snorkel hot spots. From shallow coral gardens to a deep reef abyss, the crystal-clear waters here are a snorkelling paradise. In the afternoon, we’ll float on back to Muyuni for a private feast in a rustic beach banda, with views across to Mnemba Island and a palm-shaded hammock with your name on. After a day of soaking up the sun we’ll return along the coast to Nungwi, riding high from the sunshine and a cool ocean breeze. Today is yours to do as you please – and what a fantastic location to enjoy at a leisurely pace. With gorgeous blue waters stretching far and wide, and perfect powdery sands to melt into, this is paradise on earth. 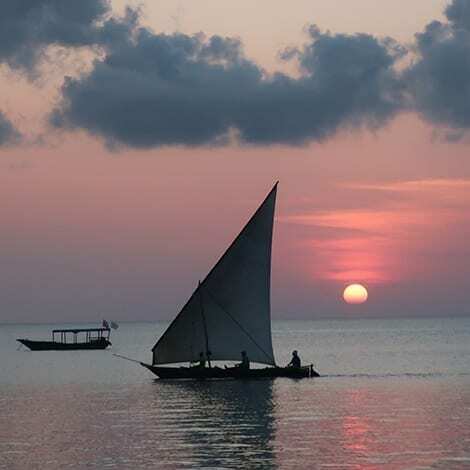 Your guide will be at hand to offer recommendations on Zanzibar’s best sights. From coastal wanderings to the lush thickets of Jozani Forest, Zanzibar is brimming with secrets to be discovered. Alternatively, unwind on the beach with a good book, or sink into the blissful blue waters. Zanzibar is a island paradise to be savoured – make the most of this tropical beauty before our adventure ends. 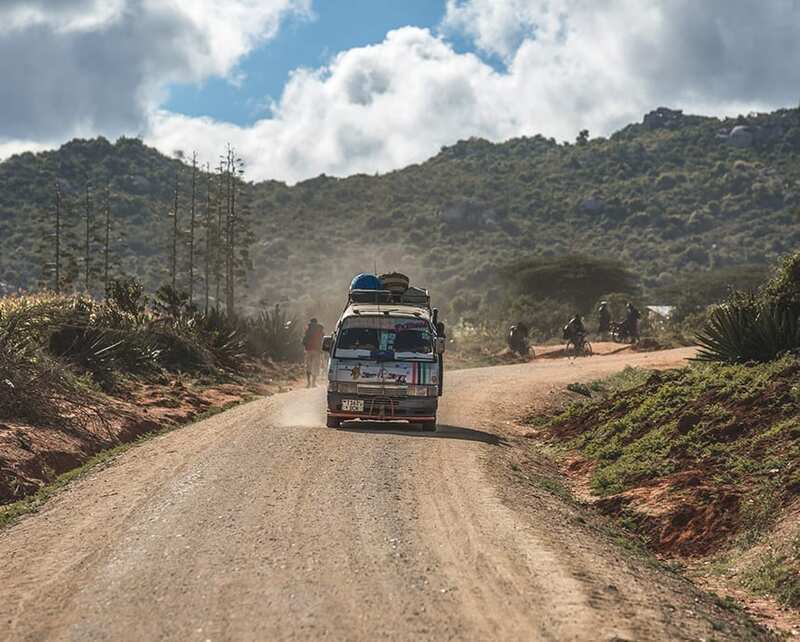 Flashpackers, the end is nigh for our Tanzania adventure. After breakfast, make your own way to the airport. The quickest option is to fly from Zanzibar but let us know if you want to catch the ferry to Dar es Salaam instead. Either way, as the Zanzibar archipelago fades into a turquoise speck, take a moment to reflect on all the experiences of the past nine days. You’ve taken epic game drives across the rolling savannah, marvelling at elephants, lions and more in their natural habitat. You’ve jeeped in Ngorongoro Crater amid wildebeest and zebras, with flamingos soaring above glistening lakes. And you’ve sailed between golden beaches by a dhow boat in Zanzibar, snorkelling through coral reef and embracing island life. Flashpackers, it’s been a non-stop showcase of jaw-on-the-floor moments: few holidays could even come close. Fly into Kilimanjaro International Airport (JRO) and fly out of Zanzibar – Abeid Amani Karume Airport International Airport (ZNZ).